This Lucky Leaf apple pie filling has a pleasant homemade-style taste to enhance your pies and desserts! Compared to other pie fillings, this non-GMO product does not contain high fructose corn syrup for a more premium taste. Your customers will love how its naturally sweet flavor comes from real fruit and pure cane sugar. 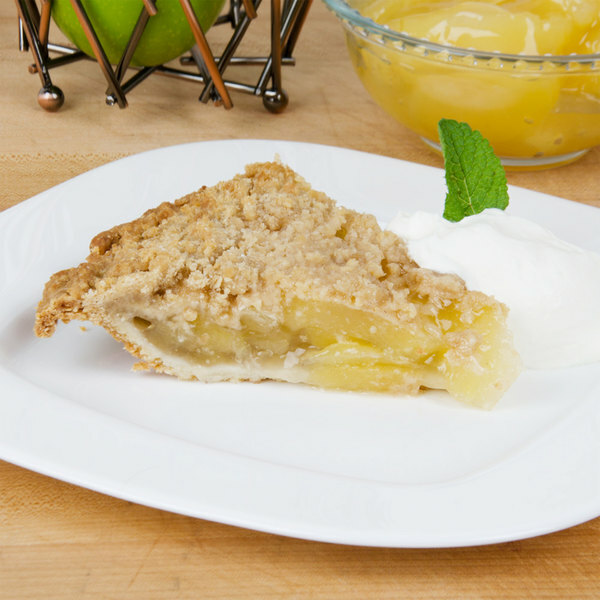 Bursting with fresh apple flavor, this pie filling will give your dishes quality taste with minimal effort. 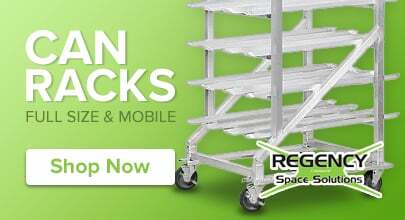 Since it is ready to use right out of the can, you can save valuable kitchen prep time. Simply add it to your favorite pie recipe, bake, and enjoy! The bulk #10 can is perfect for your busy bakery, restaurant, or diner. 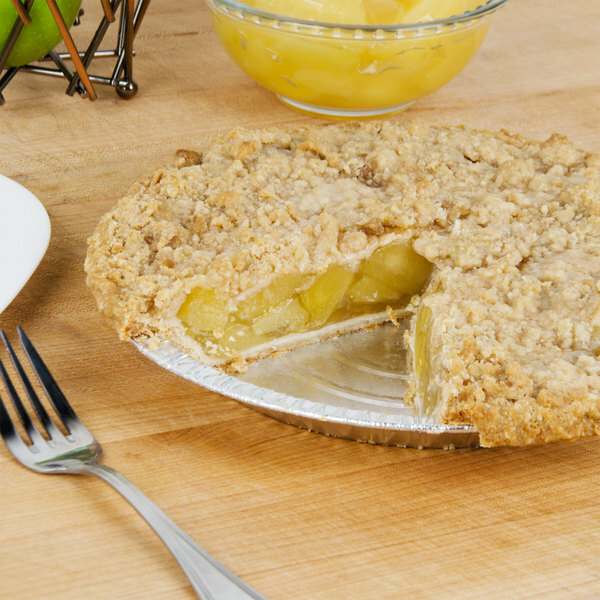 Use this tasty filling for traditional apple pies, fritters, turnovers, cobblers, and crumbles. It's also great for topping off pancakes, waffles, and cheesecakes. No matter how you use it, Lucky Leaf apple pie filling will complement your creations with the wholesome taste of tender, country fresh apples. 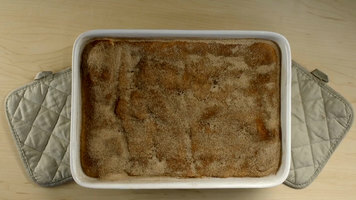 Used to make apple crisp. This is the best filling we have used in a long time. It has that flavor and texture that reminds me of my great-grandmothers pies. Lucky Leaf pie filling is difficult to find where I live and it has been a favorite in my family for a very long time. This is an excellent price for this product. What I can't use immediately, I freeze for future use. 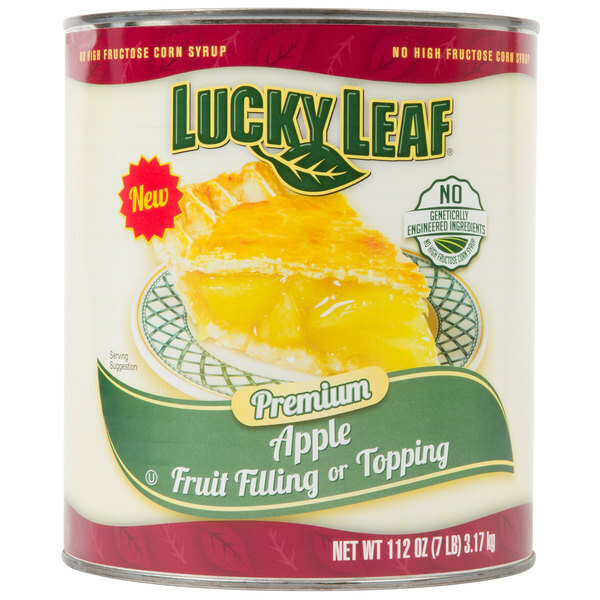 Lucky Leaf Non-GMO Apple Pie Filling is perfect for pies, cobblers, and crisps. The handy canned filling cuts down prep time in your busy kitchen. The quality and taste are excellent and will leave your guests wanting more. The flavor of these apples are amazing. My muffins and danishes always receive rave reviews. I also like the fact they remove the high fructose corn syrup from the ingredients. I decided to made several Apple pies for our Thanksgiving dinner this year. This #10 Can was the best premade pie filling for the price.I will order again.